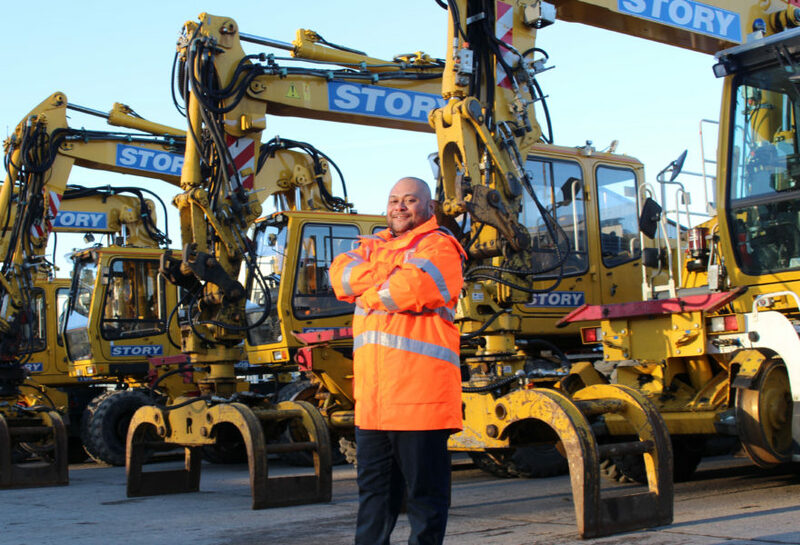 Following a year of record growth and an exceptional start to 2019, Story Scotland – a division of Story Contracting – has reached a milestone of 100 employees. Ben Seruvatu, 36, became employee 100 for the Glasgow-based division, joining the company as a Skilled Operative at the beginning of the year. Originally from Fiji, Ben moved to the UK in 2002. Previously working in a brewery in his country’s capital, Suva, he travelled 9,830 miles leaving his family and home behind, in search of new skills and career opportunities. Since joining Story Scotland, Ben has been working on the H2M project for Network Rail, extending the platform at Shotts Train Station in North Lanarkshire, Scotland. When he’s not at work, Ben is busy being a husband, and a Dad to three girls. Ben said: “The health and safety standards at Story Contracting are so high compared to other companies I’ve worked for; it really puts my mind at ease knowing I’m going to come home safely every night to my family. “It’s fantastic to feel secure in my job and know I can provide for my family and pay the bills. Ben’s arrival comes shortly after it was announced the division has secured a five-year framework to deliver up to £135m of renewal and enhancement projects north of the border. John MacArthur, Story Scotland Director, said: “It has been both an honour and a privilege to establish and grow the Story Scotland business since I joined in 2014. This has seen us grow from six employees to 113 in four years, delivering major projects across Scotland. The catalogue of successes is great news for those looking for career opportunities. Story Contracting believes in investing in future talent and the Scottish division has also just welcomed its first ever cohort of six apprentices just last week.